Digital copier offers professional quality laser printing and color scanning. Copies and prints 30 pages per minute with 1200 x 1200 dpi. Make up to 99 copies at a time. Features an expandable 32MB standard memory, legal-size document glass, copy scaling from 25 to 400 percent in 1 percent increments, a 250-sheet paper tray adjustable for letter-size or legal-size paper and a 50-sheet auto document feeder. Flatbed color 48-bit scanner with up to 19200 x 19200 dpi (interpolated) allows you to scan documents directly to your e-mail application or to a single PDF file using the auto document feeder. USB 2.0 and parallel interfaces are standard. Windows and Mac compatible. Plain Paper Fax/Copier machine offers a convenient communications tool for a range of personal and home office applications. 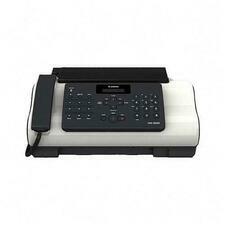 A compact, stylish, plain-paper fax's unobtrusive footprint works well in typical home or home office environments. Special attention to compatibility with home telephone usage lets it switch seamlessly between fax and telephone modes, allowing customers to receive fax and voice calls on a single line. The 9.6Kbps Fax Modem delivers a best transmission speed of about 15 seconds per page. The 512KB memory allows up to 25 pages to be stored in fax memory. Features 104 locations (auto-dial). The black/white copying offers up to 400 x 400 dpi. When you need a high-quality digital laser copier, the Sharp AL-1631 is your answer. With a brisk up to 16 pages per minute output, Scan Once Print Many technology, and time saving automatic document feeder, the AL-1631 can handle the demands of any small office or workgroup. Sharp's new UX-B700 Inkjet Fax Machine is ideal for the home or small business that requires big office features in a smaller compact machine. The quiet inkjet printing produces crisp and clear incoming faxes and copies and has 600 dpi quality. 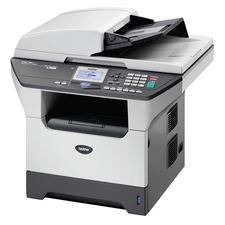 With features like a large, 200 sheet capacity paper tray and 1.8MB memory, the UX-B700 delivers high performance and convenience in one machine. 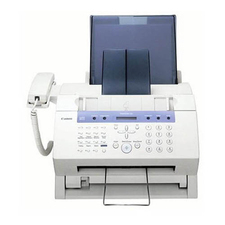 Inkjet fax machine offers fax, telephone and copy functions. 14.4Kbps modem sends a page in 6 seconds. 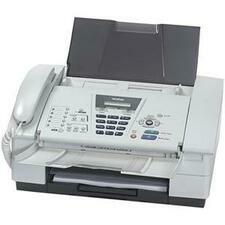 Fax machine stores 69 speed-dial locations (9 One-Touch; 60 coded), and receives up to 60 incoming pages into memory. Features 320 nozzles, broadcast dial, Caller ID display, fax/telephone auto switch and sequential broadcast for 70 locations. 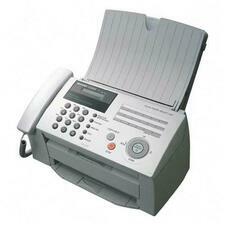 Fax-JX200 transmits one page in approximately 6 seconds. Produces 1.33 copies per minute with 600 x 600 dpi and 256 grayscale levels. Contact Image Sensor scans a maximum area of 8-1/2" x 15-7/10". Automatic document feeder holds up to 20 letter-sized originals. Inkjet print engine produces bold, clear text and graphics, and Ultra-High Quality (UHQ) image processing helps to make your faxes clean and crisp. FINE technology accurately places small ink droplets consistently on the paper for incredible precision and detail. Fax-JX200 offers a 100-sheet paper tray and an automatic document feeder for 20 letter-size sheets or 10 legal-size sheets. 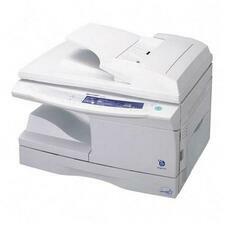 High-speed laser fax offers fast fax transmission, high-quality laser output and convenient, high-quality copying with 21 black/white pages per minute. You can use it for both fax and voice calls on the same telephone line and even connect an external answering machine. 33.6Kbps Super G3 fax modem allows fast fax communication with approximately 2.5 seconds per page and offers a memory up to 400 pages. 20-page auto document feed lets you fax and copy multiple pages up to legal-size. To save you more time, IntelliFAX-2840 laser fax lets you automatically send the same fax message to more than one fax number (up to 272 broadcasting locations) or scan a fax into memory while another fax is being sent or received (dual access). Help keep your operating costs low by using the optional high-capacity replacement toner (sold separately). 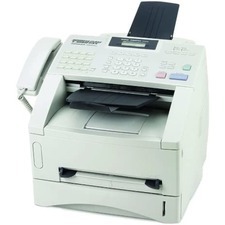 Compact energy-efficient fax also features a 16MB memory, 250-sheet input tray (front-loading) and copy scaling from 25 to 400 percent. Energy Star qualified. 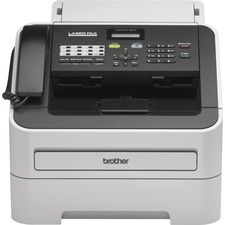 Laser fax with 8MB memory can store up to 500 pages for out-of-paper reception or fax broadcasting to 182 separate locations. Dual access capability and Quick Scan let you scan faxes into memory as fast as two seconds per page while the unit is sending or receiving. 33.6Kps modem transmits a page in three seconds. IntelliFax 4100E offers 30-page auto document feeder, 250-sheet standard paper capacity and 132 auto-dial locations combined with a high monthly duty cycle and high-yield consumables to handle demanding business applications. An optional second, 250-sheet lower paper tray is sold separately for handling higher volume applications, or for loading different paper sizes simultaneously. 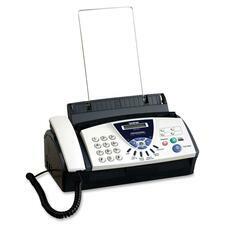 Caller ID/Distinctive Ring Ready fax generates up to 15 copies per minute with up to 600 x 600 dpi. Standard interface includes USB and Parallel. Compact, yet stylish machine that frees up extra space in the office whilst still providing the standard of performance modern business demands.